Dungaree indispensable for casual shirts. Materials used in various items will also change to various facial expressions just by changing the raw thread. 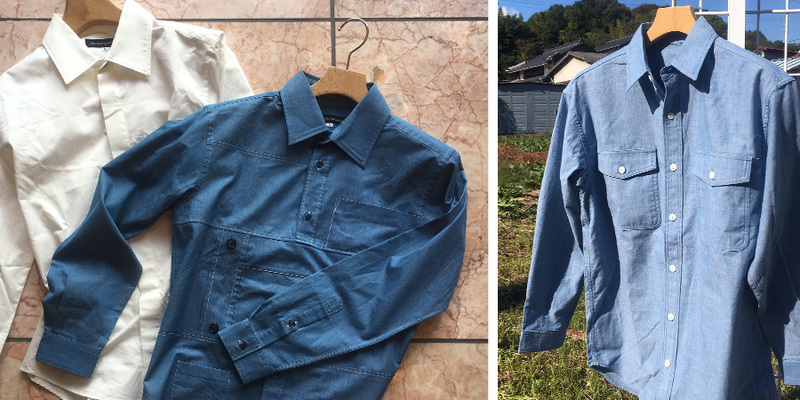 In Showa, we make beautiful materials, such as stylish shirts for outing and dress-like dresses, high-quality materials using silk etc, from materials that are suitable for casual shirts. Indigo dyes are used, shirts of processing with a feeling of use matching with jeans are included, materials of texture which can not be thought of as cotton material are available.